Fritz knows that the best parts of Christmas happen around the tree, whether decorating it with traditional and unexpected ornaments, sharing snacks, or opening presents. And Fritz gets to pick out the perfect tree: one that can be the centerpiece for his family’s celebrations, but can also make for good company when he needs some quiet time. But when Christmas is over and the tree begins to drop needles, Mom and Dad say it’s time to say good-bye. But Fritz isn’t ready to let his tree go. How can Fritz keep his Christmas tree—and the happiness gathered around it—with him all year through? 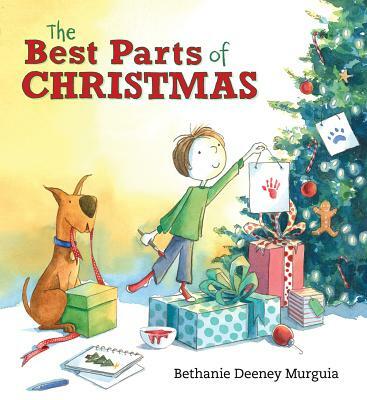 Bethanie Deeney Murguia is the author-illustrator of many books, including I Feel Five! She has worked as an art director for a variety of publishers, design firms, and marketing agencies and lives in San Francisco. This restrained, thoughtful story effectively captures some of the contradictory emotions a child may feel during the Christmas season. Saying goodbye to Christmas can be sad; Murguia sensitively reminds readers that memories of good times linger even when the holidays themselves must pass. ...the simple pictures and text make for an enjoyable story. A good read-aloud choice, this Christmas picture book reflects one child’s quiet joy in his favorite parts of the season.